I thank you for convening todayâ€™s debate, which offers us all an opportunity to reaffirm our commitment to protecting and ensuring womenâ€™s rights and their momentous role in peace and security. I also take this opportunity to thank the Secretary-General for his report and strong words of support for the active role and contribution of women in global peace and security. The history of war and violence has left an upsetting impact in my country. Violence still takes its toll on every Afghan life, including women. I hope the anguish which every Afghan family faces, will one day come to an end. Women continue to bear the bulk of the burden of conflict in Afghanistan, while their right to secure, healthy and affluent lives still remains in peril. We gather today to recognise the imperative role that women have in the peaceful resolution of conflicts, the tangible fruits of which have already been seen in Afghanistan through the decisive presence of women at the Consultative Peace Jirga in 2010 and the continuing efforts to ensure participation of women in leadership positions within and outside of the government. This debate is particularly appropriate as Afghanistan is entering into the second phase of transition to Afghan leadership and ownership and increased responsibility for security and economic development. In regards to development we have begun implementation of the 10 yearNational Action Plan for the Women of Afghanistan (NAPWA) based upon the priorities of the Afghanistan National Development Strategy. As part of this action plan (NAPWA)we have established Gender Units in 14 of 25 government ministries, however, even with a 10 year time line, accelerated efforts need to be made to ensure the full implementation of such a comprehensive action plan with vital goals that include 30 percent of governmental positions held by women by the end of 2013 and a target of 35 percent participation of female students in universities by the end of 2012. We have also made strides in the rule of law, the most recent being the establishment of a national Commission on Elimination of Violence against Women following enactment of the Law on the Elimination of Violence against Women in December 2010. This is vital in enhancing Afghan womenâ€™s access to legal redress, sending the strong message that the Afghan government is committed to the rights of women and ensuring that there is no impunity for those who violate them. 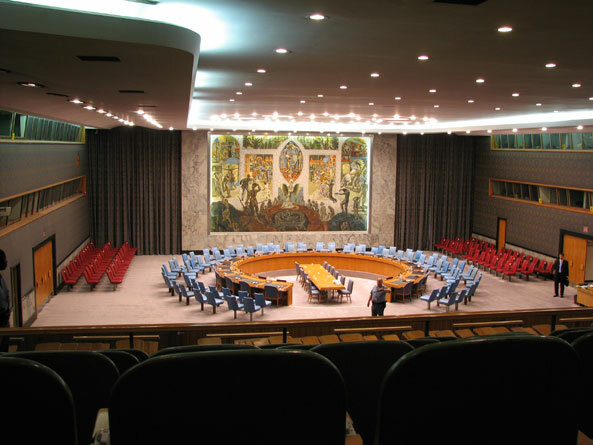 Ensuring the rights of women is only half the battle; we also need to see the full participation of women, as 1325 reminds us they have a vital role to play in the peace and security of our country. The representation of women in governance and political participation has been steadily increasing. We have succeeded in holding two Presidential and two parliamentary elections, in which women actively participated as candidates, election staff, poll watchers and electorates. Women comprise 27 percent of the parliament making Afghanistan the 30th in the world with the highest representation of women in Parliament. The Afghanistan National Parliament has also established a resource centre for women parliamentarians to enhance their capacity to include womenâ€™s voices and perspectives effectively in the national development and reconstruction plans. When reviewing these facts and figures, let us not lose sight of the great personal risk that these women undertake in order to participate in the governance of their country and in their future. I wish to take this opportunity to honour the women who continue take risks to assume an active role in the future, direction and peace of our country. 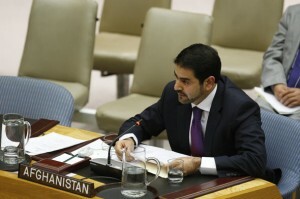 Our international partners have been assisting the Afghan Government in our endeavors. UN-Women has administered a multi-donor trust fund for the elimination of violence against women, which provided grants for national organizations to combat violence against women. I am very pleased to report that in collaboration with UN-Women, Afghanistan has submitted its first country report to CEDAW. The continued collaboration of our Government, international partners, and both Afghan and international civil society groups will be vital to ensure the full realisation womenâ€™s rights in a strong and stable Afghanistan. 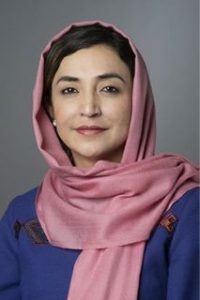 Building a sustained and secure environment that enables women to live free of intimidation, and violence, which supports their participation and leadership in promoting and maintaining peace and security, is one of the core objectives of the Afghan Government. 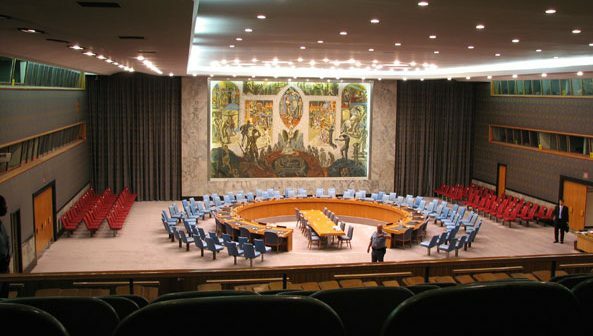 We alsoÂ Â focus on women political actors at national, sub national and local levels, capacity building and advocacy strategies to enable them to attain a critical role in high-level decision, policy, and law-making positions in key government institutions; and to accomplish their significant political and social responsibility. 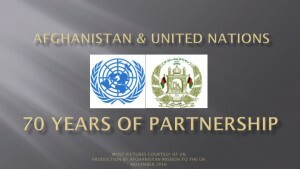 With the support of our partners and the international community we will continue to work toward the full implementation of 1325, in recognition that our goal of sustainable peace and security in Afghanistan will only be achieved with the full participation of the entire Afghan nation.Â Â Â I thank you.